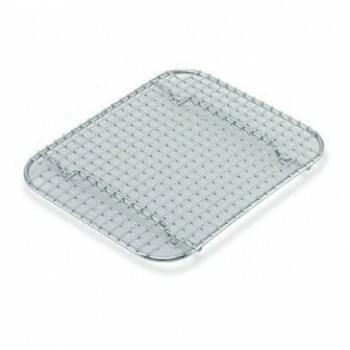 A wire cooling rack / pan grate is perfect for holding fries, donuts, pastries, and other fried goodies up and away from their grease. We offer grates with a raised height which makes it ideal for use as a cooling grate for baked products, or freshly iced products. All of our Vollrath grates are made with stainless steel which ensures easy clean up and durability for years of use!